Ms. 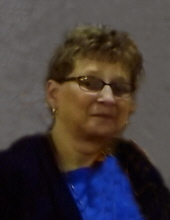 Gay Nichols Roebuck, 67, passed away Monday April 8, 2019. The funeral service will be held on Thursday at 2 pm in the Wilkerson Funeral Home Chapel. Burial will follow in Pinewood Memorial Park. Ms. Roebuck, was a native of Pitt County and a graduate of Rose High School. She was a member of Calvary Baptist Church. She worked as a teacher’s assistant at Calvary Christian Academy for ten years and also worked as a pharmacy tech at Kroger’s for nine years. She was preceded in death by her parents, John Henry and Mary Nichols; and two great-grandchildren, Laila and Ryan Roebuck. great-grandchildren, Charles, Conner, and Caden; and a cousin, Julia Allen. The family will receive friends on Wednesday from 6 – 8 pm at Wilkerson Funeral Home and other times at the home of Alan and April Roebuck. Memorials may be made to Calvary Baptist Church, 1412 Holbert Street, Greenville, N.C. 27834. To send flowers or a remembrance gift to the family of Gay Nichols Roebuck, please visit our Tribute Store. "Email Address" would like to share the life celebration of Gay Nichols Roebuck. Click on the "link" to go to share a favorite memory or leave a condolence message for the family.